Today I have been in Barcelona in a lunch with some friends from the smoking pipes forum El rincón de la Pipa. I had really great time with some old and new friends and tried some new tobaccos like Frog Morton. 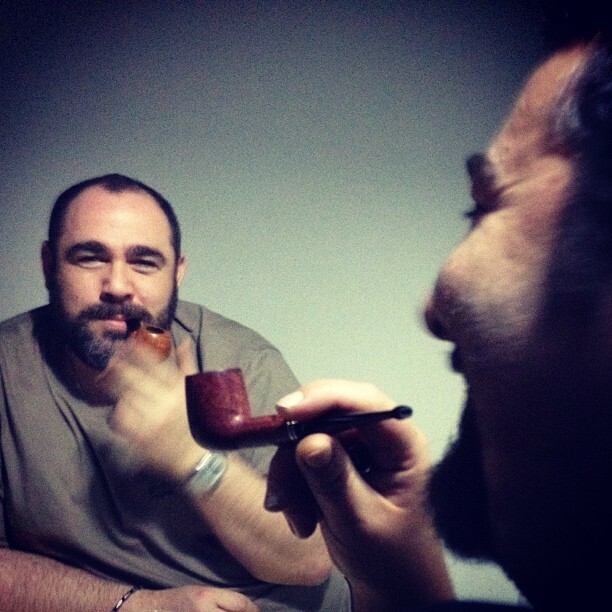 Here in the photo, my friends Álex from Pipa Sibarita and Robert from Markuz Pipes. Alex is smoking the ball shaped pipe I did few time ago. Joan has been smoking today: Cantó Nosewarmer + McClelland Frog Morton on the Bayou. Work in progress. First lathe pipe.